Fordham Brewing is resetting their core lineup beginning in February of 2014. Three new core beers, the Rinse and Repeat series, focus on sessionability. None of the beers will clock in at higher than 5.0% ABV. The first, Gypsy Lager, is a Munich-style Helles brewed in the tradition of great German lagers. Munich and Vienna malts provide a honeyed backbone that is contrasted with the clean bitterness of Perle Hops. The result is a crisp and refreshing beer. Copperhead, an American Amber Ale, will remain Fordham’s flagship beer. Caramelized malts give this beer its flavor and signature copper hue. Bravo hops attribute a slight bitterness to the finish. Finally, and most excitingly, Route 1 Session IPA will join the year-round lineup. Noted for its hop forward flavor, low alcohol content, and pale amber color it possesses a subtle malt presence. The smoothness of this ale makes it easy to lather, rinse, and repeat as needed. 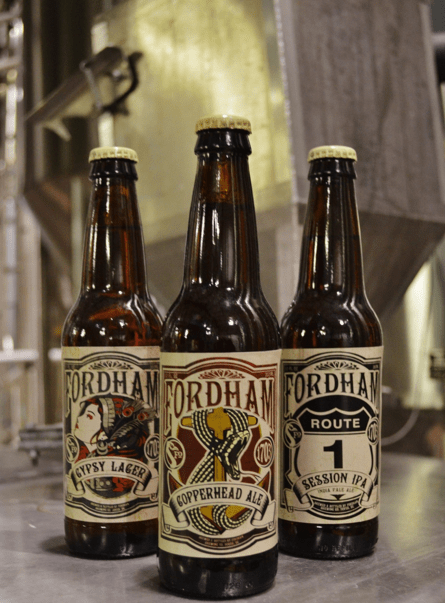 Look for the new Fordham beers on retailer’s shelves during the first quarter of 2014. Gypsy Lager, Copperhead Ale, and Route 1 IPA will be available in six-packs and on draft in the Mid-Atlantic region.